As the Mall opens its doors with a celebratory bang, the Mall promises even more entertainment and surprises are yet to come! Doha, 6th April 2017: Doha Festival City, the largest entertainment, retail and hospitality destination in Qatar, managed and operated by Al-Futtaim, opened its doors to the public yesterday, 5th April 2017. 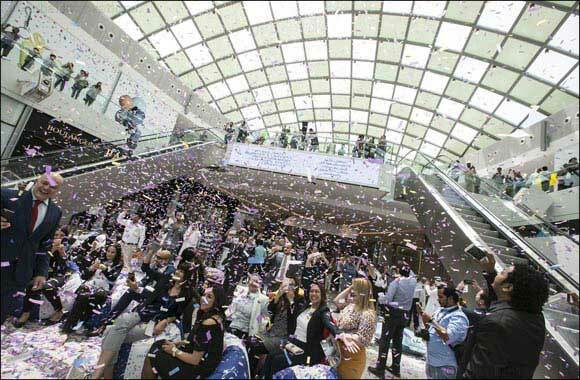 Thousands of visitors flocked to the new Mall from 10am to be amongst the first to shop, dine and be entertained. With something for everyone, visitors enjoyed the country’s biggest Marks & Spencer, the market’s first West Elm, the much anticipated Muji and the new flagship stores from H&M and Centerpoint. Over the next few weeks visitors will also be able to enjoy brands including the first VOX Cinemas in Qatar and the world’s largest Monoprix Hypermarket amongst many others. In order to further enhance its customer’s journey, Doha Festival City has partnered with twelve hotels* across Doha to offer its guests complementary trips to and from the Mall – with shuttle services running throughout the day seven days a week. As a ‘Smart Mall’, Doha Festival City has incorporated a number of innovative concepts that combines with unique technology, enhancing its visitors’ experience at every part of their journey within the destination. From digital wayfinding, smart car parking and free high-speed wifi to its extensive digital media network – every ‘Smart’ aspect has been considered throughout.